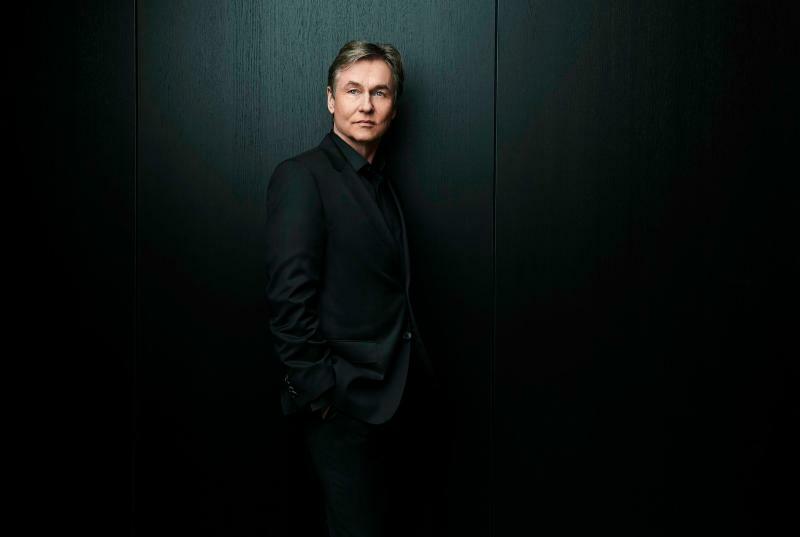 In a surprise announcement, the San Francisco Symphony named Esa-Pekka Salonen its next music director, effective September 2020. He is named music director designate, effective immediately, and will conduct the orchestra in January. He succeeds Michael Tilson Thomas. The full press release is below. There’s more news in it. Assuming his role as Music Director Designate immediately, Salonen will lead the SFS January 18–20, 2019 in a program featuring the SFS premiere of Icelandic composer Anna Thorvaldsdottir’s Metacosmos, R. Strauss’ Also Sprach Zarathustra, and Sibelius’ Four Legends from the Kalevala. He will return as Music Director Designate in the 2019–20 season to conduct at least two weeks of programs. In September 2020, Salonen begins his tenure as Music Director with an initial five-year contract, conducting the SFS in six subscription weeks and on a tour of Asia. Beginning in the 2021–22 season, Salonen will conduct 12 to 14 weeks each season. He will conclude his tenure as Principal Conductor and Artistic Advisor for London’s Philharmonia Orchestra in 2021. “From the very first approach, the San Francisco Symphony leaders and musicians and I were buzzing with possibilities,” said Esa-Pekka Salonen. “The ‘what-ifs’ of the orchestra world were suddenly on the table in a real way. Here is a top symphony orchestra in the place in America where things start; where the ways things have always been done are interrogated, and where problems are first identified and then solved. In San Francisco itself and in the San Francisco Symphony, I see both the big ideas being thought and the actual work being done, and that, to me, is irresistible. As part of the appointment, Salonen and the San Francisco Symphony also look to evolve the orchestra from the inside out by introducing a new artistic leadership model, one anchored by a group of eight collaborative partners from a variety of cultural disciplines. 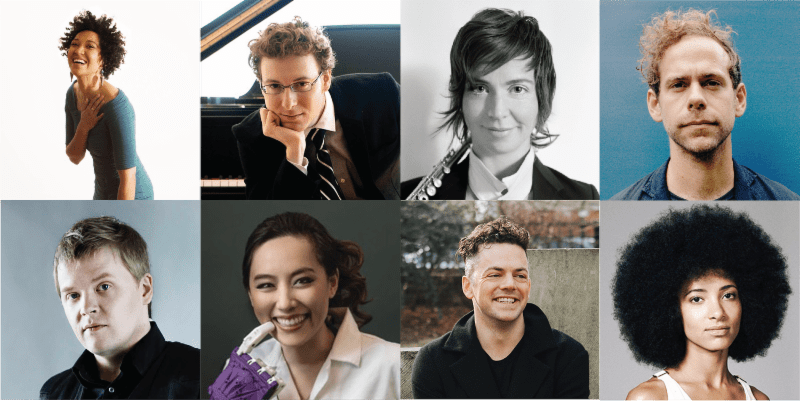 This group of extraordinary artists, thinkers, and doers will join with Salonen and the SFS to embark on a future of experimentation by collaborating on new ideas, breaking conventional rules, and creating unique and powerful experiences in and around the concert experience. The group assembled comprises eight artists from varied creative realms: pianist, film producer, and composer of award-winning film scores Nicholas Britell; soprano and curator Julia Bullock, who has made social consciousness and activism fundamental to her work; flutist, educator, and advocate for new and experimental music Claire Chase; composer, new music curator, and member of The National Bryce Dessner; violinist, musical director, and artistic trailblazer Pekka Kuusisto; composer and genre-breaking collaborator Nico Muhly; artificial intelligence entrepreneur and roboticist Carol Reiley; and jazz bassist, vocalist, and undefinable artist Esperanza Spalding. Salonen made his San Francisco Symphony conducting debut in 2004 and has returned to conduct the SFS on numerous occasions, most recently in 2015, leading a program including Stravinsky’s The Firebird and his own composition Nyx. Salonen was on the podium as the SFS celebrated its Centennial on December 8, 2011, in a program that included the SFS premiere of his own violin concerto. Esa-Pekka Salonen’s restless innovation drives him constantly to reposition classical music in the 21st century. Known as both a composer and conductor, he is the Principal Conductor and Artistic Advisor for London’s Philharmonia Orchestra, a position he leaves at the end of the 2020–21 season. Their award-winning RE-RITE and Universe of Sound installations have allowed people all over the world to step inside the orchestra through audio and video projections. Salonen also drove the development of a much-hailed app for iPad, The Orchestra, which gives the user unprecedented access to the internal workings of eight symphonic works. As the Music Director of the Los Angeles Philharmonic (1992–2009), where he is now Conductor Laureate, Salonen was instrumental in opening the Frank Gehry-designed Walt Disney Concert Hall, presided over countless premieres of contemporary work, began the Esa-Pekka Salonen Commissions Fund, and made the orchestra one of the best attended and funded in the United States. Salonen is in his third of five years as Artist in Association at the Finnish National Opera and Ballet, where he will conduct his first full Ring cycle in future seasons and Pelléas et Mélisande this season. He is also Conductor Laureate for the Swedish Radio Symphony Orchestra and co-founder of the annual Baltic Sea Festival, serving as its Artistic Director from 2003 to 2018. In 2015 Salonen addressed the Apple Distinguished Educator conference on the uses of technology in music education, and his Violin Concerto was featured in an international campaign for iPad. Widely considered to be among the most artistically adventurous and innovative arts institutions in the United States, the San Francisco Symphony (SFS) has earned a global reputation for signature interpretations, boundary-pushing concert experiences, and award-winning recordings and media projects. Now in its 107th season, the SFS presents more than 220 concerts annually and reaches an audience of nearly 500,000 annually in its home of Davies Symphony Hall, through its multifaceted education and community programs, and national and international tours. Since its inception and founding as “an orchestra for all,” the SFS has played a leading role in the musical life of its community, offering one of the most comprehensive music education and community programs of any orchestra in the world. Established by a group of San Francisco citizens, music-lovers, and musicians in the wake of the 1906 earthquake, the San Francisco Symphony played its first concert on December 8, 1911, revitalizing the City’s cultural life.